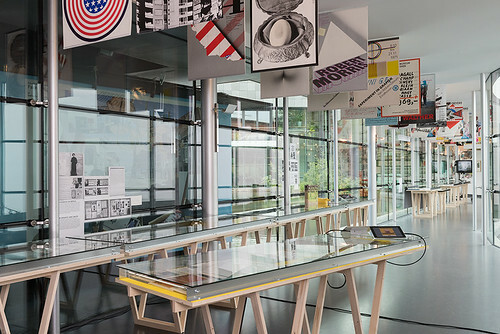 With a seemingly informal but bold approach, work by the Dutch designer is framed within a wider historical and contemporary graphic design practice, allowing ‘Staging the Message’ to become an exercise in self-reflexivity while proposing a succinct yet provocative case for design theory. Installation photo by Peter Cox. Top: Jan van Toorn, The passion for the real, from the series ‘Still Lifes with Borrowed Furniture’, 2011. 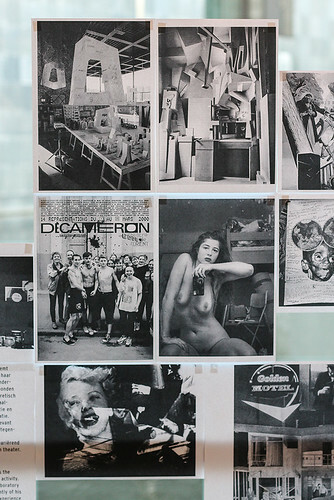 Jan van Toorn, prints taped to a window of the Van Abbemuseum. 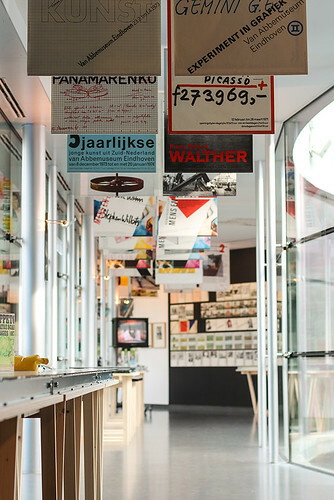 Photo taken by the author, 2014.
that summarise Van Toorn’s practice and the contributions he has made to graphic design through books such as And Justice for All … (1996), Design Beyond Design (1998), Design’s Delight (2003) and Critical Practice (2005). Themes include Data-Journalism, Pictorial Statistics + Isotype, Typography and Image, Image Editing and The Commission. 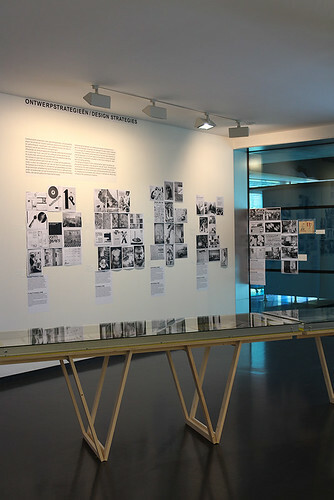 Ontwerpstrategieén / Design Strategies co-authored with historian and curator Els Kuijpers. Installation photo taken by the author, 2014. Installation photo by Peter Cox, 2014. 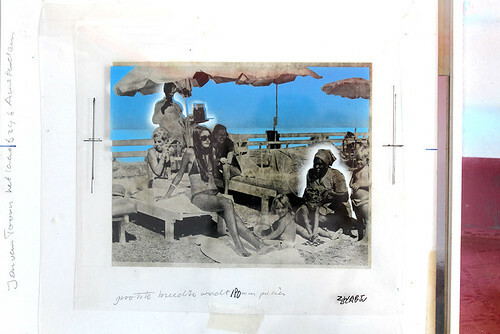 Photomontage for the Mart. Spruijt calendar, 1976. Next, Productivism, which puts communication design ‘at the service of a social programme aimed at bringing about change in society.’ While it breaks from the ‘politically naïve idea of design as a non-ideological form of communication’, it ‘often fails to relate its own practice to the theoretically grounded critique’: messages become depoliticised, and it fails to offer ‘realistic alternatives to the status quo it is criticising’. 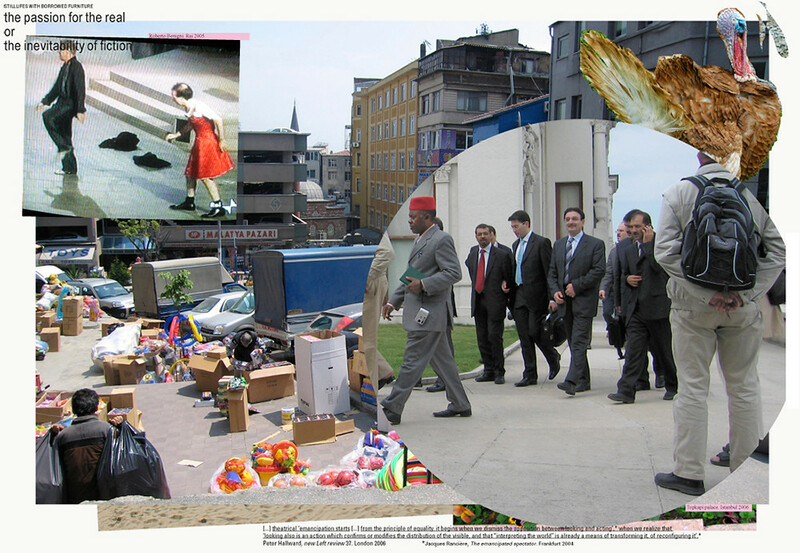 See Metahaven, Bureau d’Études, Hito Steyerl and 2x4. 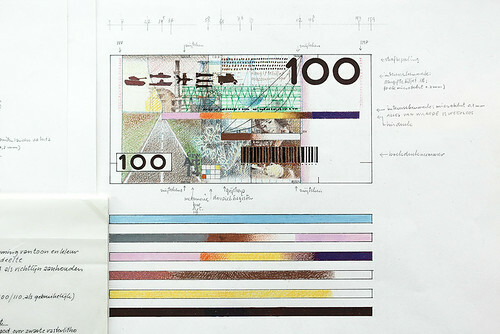 Van Toorn’s 1986 proposal for bank notes for De Nederlandsche Bank. Photo by the author. 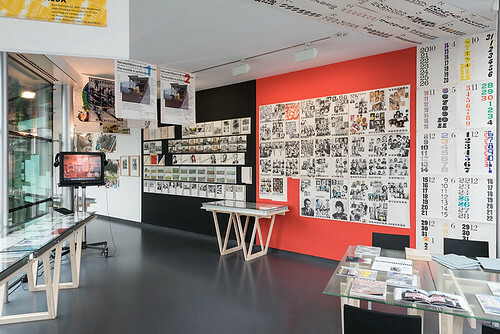 Critical practice does not begin or end with Van Toorn: the exhibition makes clear that there are other ways ways of taking a critical stance, and draws attention to the importance of framing work in the context of society and design practice. But Jan van Toorn’s work is a tenacious example of commitment to public debate, criticism, reflexivity, disciplinary discourse and research. ‘Staging the Message’, appropriately, doesn’t indulge in homage, but makes an important contribution to graphic design. Jan van Toorn, The nature of things, from the series ‘Still Lifes with Borrowed Furniture’, 2011.